Netflix offers up its inevitable end-of-month misery to movie lovers in the next couple of days, pulling the plug on a wide mix of titles that many of us would rather stay right there in our queues, thank you very much. Certainly there's consolation to be had from the coming return of a number of lamented losses (including several by Robert Altman), but it will be tough to say goodbye to the pulpy-but-fun Black Snake Moan (2007), the goofy antics of John Cleese in Clockwise (1986), the corny romance of An Officer and a Gentleman (1982), the shocking irreverence (and sad truths) of Bill Maher's Religulous (2008), and even the well-crafted do-goodism of Kevin Costner's undeniably entertaining Dances with Wolves (1990). The pain is distributed evenly, at least: if you like classic Hollywood stars, then take a last look at Clara Bow in It (1927), Marilyn Monroe in There's No Business Like Show Business (1954), Shirley MacLaine in Woman Times Seven (1967), and, um, that giant blimp in Black Sunday (1977). If you're into Pam Grier blaxpoitation flicks, then this month's expirations may especially hurt. 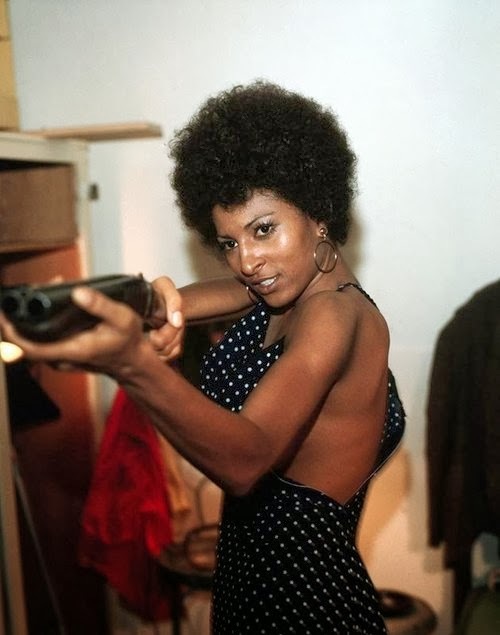 Three of her better-known movies are on the chopping block: Coffy (1973), Friday Foster (1975), and Sheba, Baby (1975). Fortunately, she'll still maintain a respectable streaming presence, with her "cage" pictures and a number of more recent actioners and melodramas sticking around, including Quentin Tarantino's latter-day ode to her, Jackie Brown (1997). 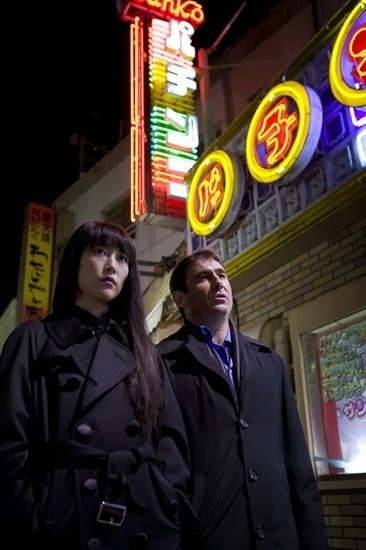 If you're a fan of moody, Wong Kar-Wai-like meditations on love and loneliness—mixed with a bit of arty hired killings—then you should check out Isabel Coixet's Map of the Sounds of Tokyo (2009). I only recently discovered this one (thanks to an interest in star Rinko Kikuchi, from Babel and last year's Pacific Rim), and found myself absorbed by the understated West-meets-East vibe and quiet performances by Kikuchi, as an unlikely assassin/fish-factory worker, and Sergi Lopez as a soulful wineshop owner in mourning. I couldn't make out all the dialogue—the two characters often speak in heavily accented English—but the film's many strengths overcame this shortcoming (including some steamy scenes set in an imaginatively designed hotel room). Of course, many of you know my predilection for artsy European fare, which makes this next group of titles particularly difficult to part with. All are French and, while none would be considered "important" in a cinematic sense, there are a couple of minor classics among them. The least of these is probably The Swimming Pool (La Piscine), from 1969, which stars "French Robert Redford" Alain Delon, along with Romy Schneider, Maurice Ronet, and a young Jane Birkin (still finding her way in France at the time). A slow-boil thriller in the Claude Chabrol mold, half the film's pleasure is the sight of all these gorgeous stars sulking and brooding in swimsuits beneath the St. Tropez sun. If you're a fan of any of them, give this one a shot—especially if you enjoyed Delon and Ronet in Purple Noon, the 1958 French version of The Talented Mr. Ripley. Delon also stars in Jean-Pierre Melville's Dirty Money (Un Flic) (1972), along with Richard Crenna and Catherine Deneuve. Melville made several of the best films of the 1960s, including two masterpieces, Le Samourai (1967) and Army of Shadows (1969). He was one of the premiere directorial minimalists, letting the precise actions of his characters always take precedence over words, yet able ratchet up the tension on a par with Hitchcock. This languid, methodical heist film doesn't always connect the dots, but for Melville completists and Delon fans it has its pleasures. If that one doesn't do it for you, then give Le Professionnel (1981) a try. Veteran New Waver Jean-Paul Belmondo plays a badass rogue spy who's got it in for his Secret Service bosses—and the president of an African country. Even if you're not an aficionado of foreign action movies, this tough little thriller has the perfect mix of fights, chicks, guns, and car chases, all while maintaining a fairly realistic tone. It's good, tense stuff, without any James Bond excesses or gimmicks but some genuinely exciting scenes (including a great car chase at the base of the Eiffel Tower) and of course an excellent Belmondo outsmarting everyone he meets. Speaking of the French New Wave, nudging into the "essential" category is one of that movement's earliest offerings, Jean-Luc Godard's A Woman Is a Woman. Along with Breathless—the director's breakout hit from 1958 that's still one of the most influential films ever made—A Woman Is a Woman is probably Godard's most accessible film. Ostensibly a musical comedy but really, as Godard once put it, his "idea of a musical," this light comedy has its stylistic and formal quirks (a soundtrack that periodically breaks off, music that pauses when the actors start to sing, odd editing effects), but all that is easily overlooked in light of its sparkling cast. Along with New Wave stalwarts Jean-Paul Belmondo and Jean-Claude Brialy, the film stars the woman who would become Godard's wife and muse for the next several years: Anna Karina. Many would argue that Karina was the best thing that ever happened to Godard, at least in terms of his early '60s output. With her gorgeous elfin features, ridiculously expressive eyes (Best Eye Shadow Ever), and an unnerving ability to transmit her every emotion to the camera, Karina lent heart and humanity to Godard's most intellectual and experimental ideas. Even if you're otherwise lost in one of their more quixotic collaborations, she's always there to keep you grounded—and captivated. Fortunately, A Woman Is a Woman—a love triangle between a cabaret dancer determined to get pregnant, her reluctant live-in boyfriend, and a suitor all too willing to help out—is easy to follow while providing all sorts of eye candy, not only in the actors but in Raoul Coutard's colorful widescreen camerawork, which provides a documentary-like glimpse into the Paris of that era. And if you're a fan of the lush orchestrations of legendary composer Michel Legrand, you'll get your share of ear candy, too. The only knock against this film is the version currently streaming on Netflix: it's slightly speeded up, so the actors' voices (if you're familiar with them) sound on the chipmunky side. It's too bad, but that shouldn't dissuade you from seeing it if this is the only way. It's too much fun otherwise. The last of the French films expiring this month is of more recent vintage. If less heralded, it's still entirely worthy—the 27th adaptation of D.H. Lawrence's Lady Chatterley (2006). Okay, maybe it's not the 27th (26th? ), but it's quite possibly the best. If you've never seen a film version of this story and were always curious—or if you're a Marina Hands fan or simply a devotee of literary erotica—this is the one for you. Great performances, lush locations, and just the right note of pent-up Lawrentian transgression. That's awesome. Thanks for the kind words, and for stopping by my humble little corner of the Internet. Hope you continue to find things to like (and images you want to frame).